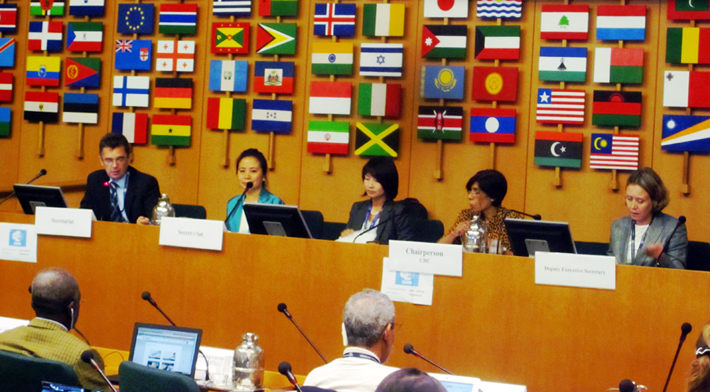 The ninth meeting of the Rotterdam Convention’s Chemicals Review Committee (CRC-9) convened Tuesday at the headquarters of the Food and Agriculture Organization of the United Nations (FAO) in Rome, Italy. 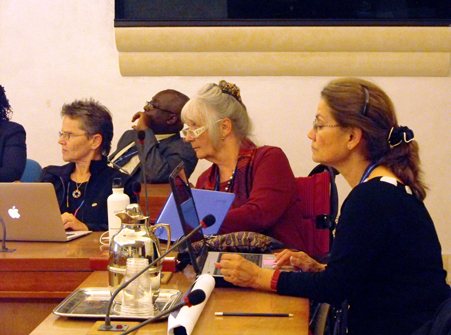 After welcoming statements, the Committee adopted its agenda and work schedule and was briefed on key outcomes from the sixth meeting of the Conference of the Parties to the Rotterdam Convention (COP-6) and the second simultaneous extraordinary meeting of the COPs of the (ExCOPs-2) relevant to the CRC’s work. 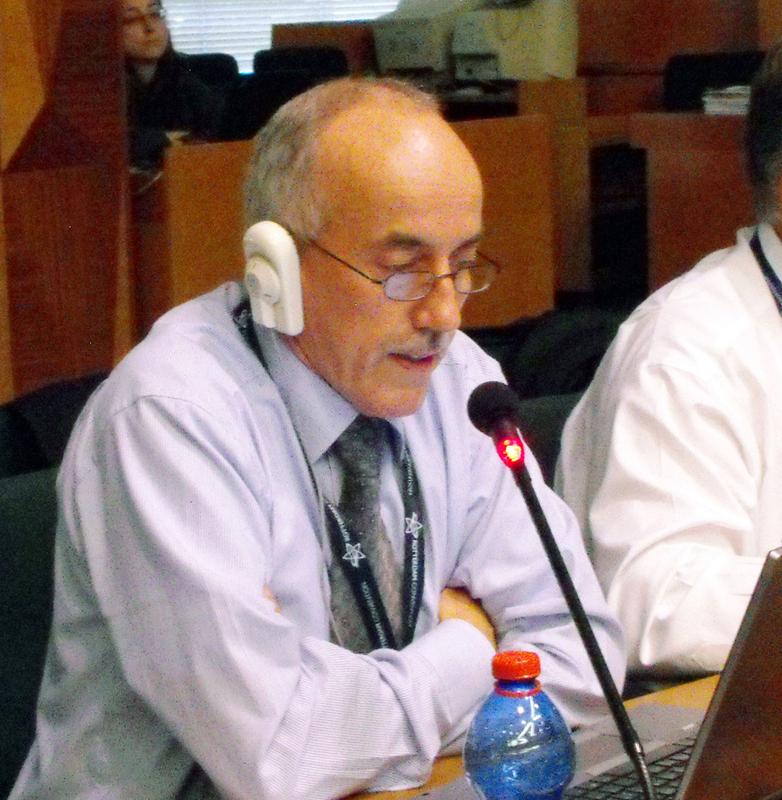 The Committee debated whether notifications of final regulatory action on methamidophos submitted by Brazil and the European Union (EU) met all the criteria for listing in Annex III to the Convention. 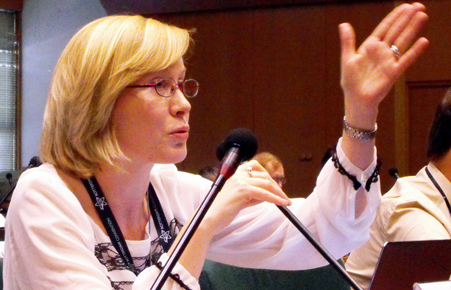 A contact group co-chaired by Susan Collier (New Zealand) and Jürgen Helbig (Spain) was established to consider this issue. 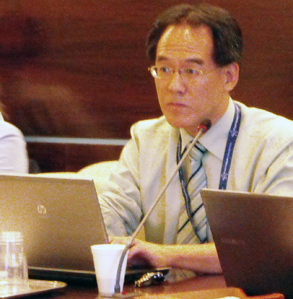 On lead arsenate, the Committee discussed the conclusions of a task group on the chemical that reviewed notifications submitted by Japan and Peru. 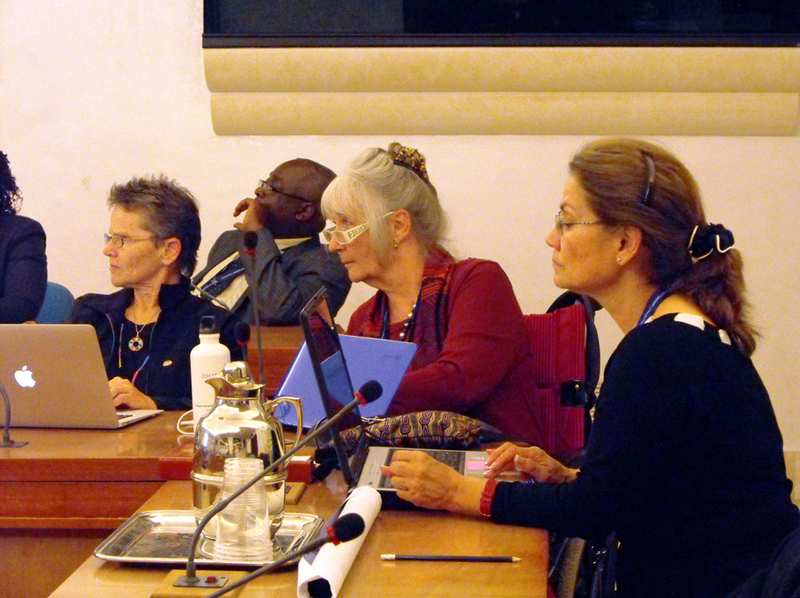 A contact group co-chaired by Magdalena Frydrych (Poland) and Vilma Morales Quillama (Peru) was formed to review additional data provided by Peru and consider whether the notifications meet the criteria regarding ongoing international trade of lead arsenate, as the task group concluded. In other technical work, the Committee decided to: ask the Secretariat to provide a draft decision to adopt the decision guidance document (DGD) for tricholorfon prepared intersessionally; conclude that the Brazilian notification on cyhexatin did not meet all the criteria for listing, so no future action will be taken at this time; and conclude that the notification on pentachlorobenzene (peCB) by Japan does not meet Annex II criteria and to take no further action on peCB at this time. The contact groups on methamidophos and lead arsenate met in the evening. 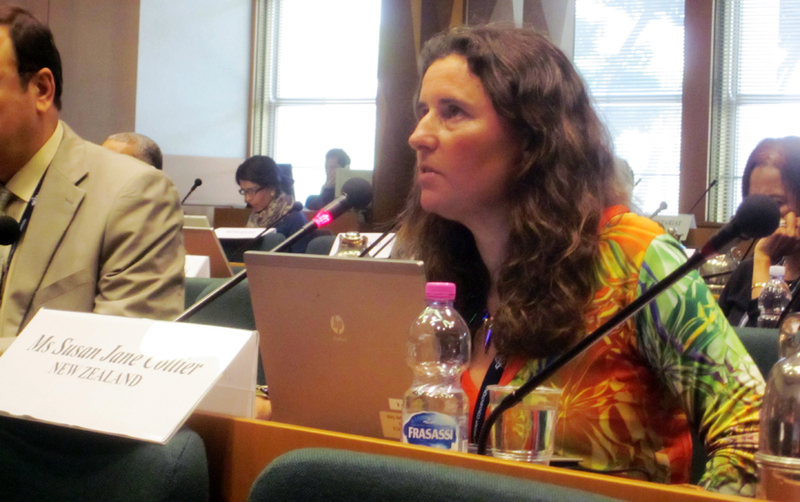 Magdalena Frydrych, Poland, presents intersessional work on the notifications for lead arsenate. 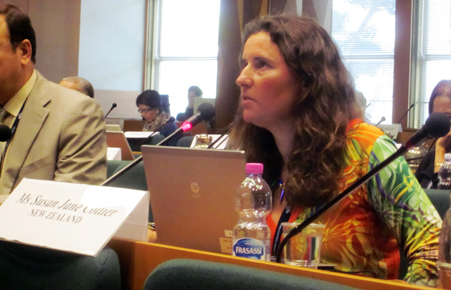 Susan Collier, New Zealand, co-Chair of the intersessional group on methamidophos, reports on the group’s conclusions and recommendations. 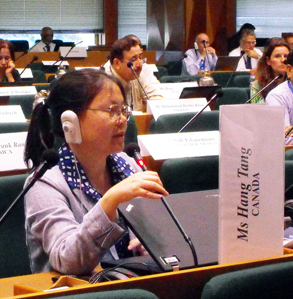 Hang Tang, Canada, discusses additional information provided on lead arsenate. 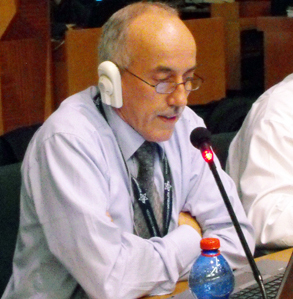 Roland Dieterle, CropLife International, intervenes during the Committee’s consideration of trichlorfon. 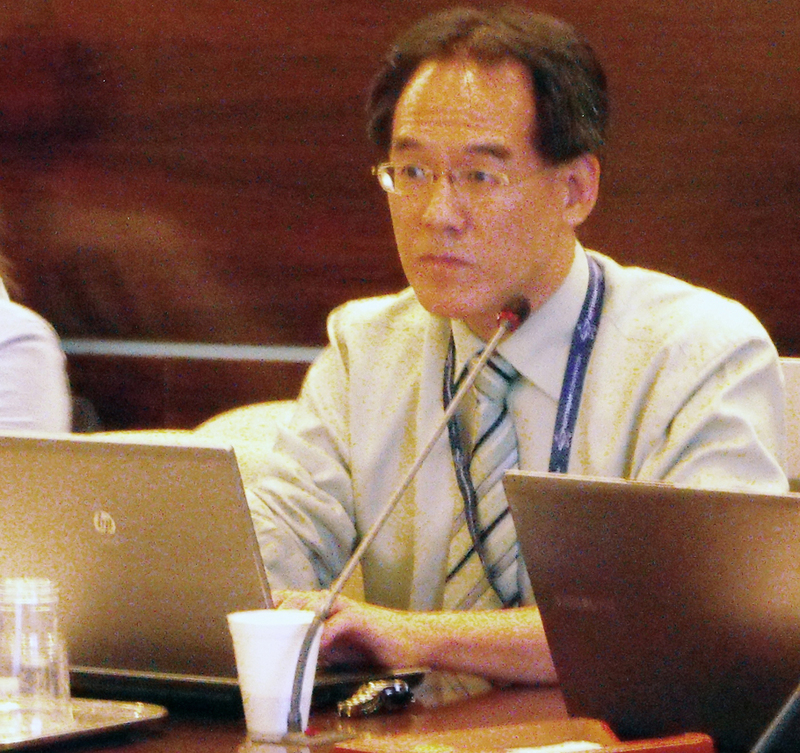 Gary Fan, Australia, clarifies how additional information on lead arsenate will be communicated from the contact group to the Committee. 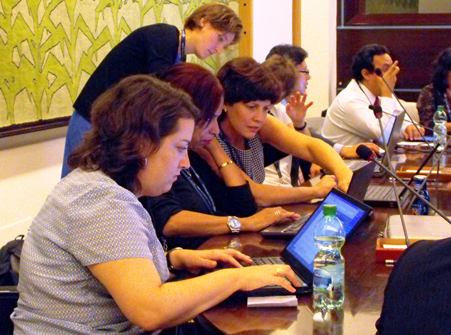 CRC observers and members review additional information in the lead arsenate contact group. 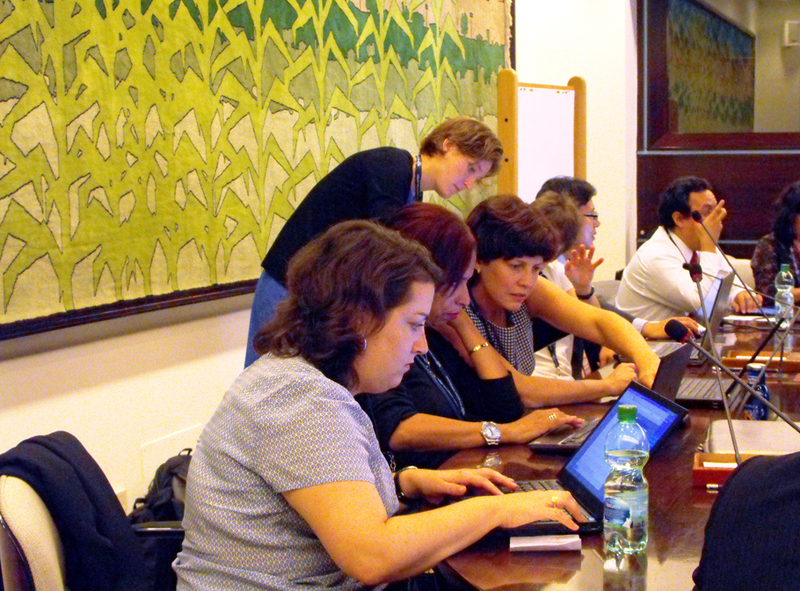 L-R: Jacqueline Arroyo Daul, Ecuador; Mariann Lloyd-Smith, IPEN; and Meriel Watts, PAN, review documents in the methamidophos contact group. 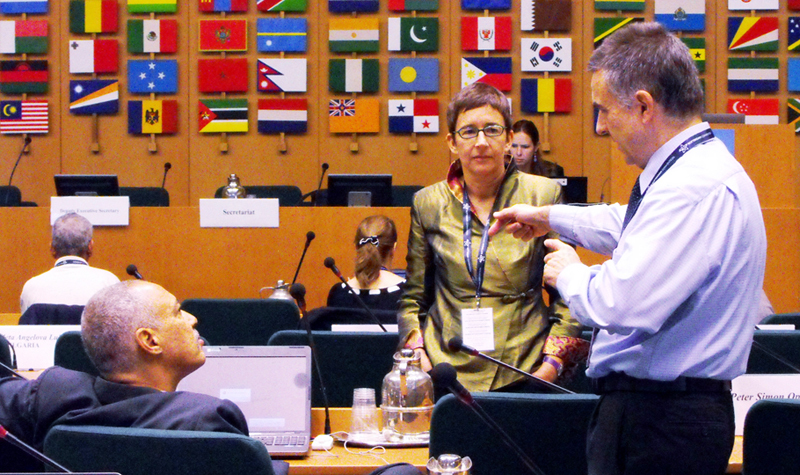 L-R: Michael Frank Ramsay, Jamaica; Anja Bartels, Austria; and Jürgen Helbig, Spain, discuss the week ahead before the CRC opens.